I'm typing this article from a hotel room in Guam, overlooking the calm waters of Tumon Bay, on a weather delay for my intended flight up into Iwakuni, Japan. Typhoon Chaba - a level 4 hurricane presently - is churning its way northwestward, just having passed the island of Okinawa and making its way toward southern Japan and South Korea. The weather service is labeling it a Super Typhoon, with sustained winds of 155 mph and peak gusts of 190 mph. Surely a storm of this magnitude will leave considerable devastation in its wake. At the same time, across the globe in the Western hemisphere, Hurricane Matthew-also a level 4 hurricane presently- is currently on track to hit Haiti and with the poorer infrastructure of this tiny island nation, will cause considerable damage to buildings and maybe even a tremendous amount of lives lost. The landfall of these two super storms in their respective regions is imminent. Hopefully, the people groups of these areas will be prepared for what lies ahead. The one saving grace, if it can be considered as one, is that a hurricane of this size can be tracked days in advance, maybe even up to a week prior to it making landfall. Projections can be made as to where it may impact coastal regions and how much strength it may muster, thus allowing expected impact areas to make preparations for its arrival. There is nothing worse than to be caught off guard, especially when something of this enormity is headed one's way. While these two storms and others like it can wreak havoc in its path, an even greater storm of far more strength and of considerably more dire consequences is headed our way, and its landfall on humanity is imminent. Just as a hurricane has outer bands that extend outwards of up to a couple of hundred miles from the eye of the storm, the outer bands of this mega massive event are swirling all about us presently and portends that its arrival upon us is extremely imminent - preparations for its onset should have already been made. The event I'm alluding to is the final seven years of human government, commonly referred to as the Tribulation period, with the final three and a half years known as the Great Tribulation. Students of Bible prophecy have been tracking the progress of this soon engulfing phenomena for generations, while projections of its eventual impact were scribed in the Holy Writ centuries ago. Prophets like Daniel, Ezekiel, Hosea, Zechariah and others, as well as Jesus with His Apostles, foretold of the inescapable moment when this storm would make its appearance. In the book of Revelation, we are given a behind the scenes account of what will transpire at the onset of the Tribulation Period. Jesus Christ-the Lamb of God-opens the very first seal in Revelation 6:1 and the Antichrist is let loose to ride his horse across the globe. To suggest, as some have done, in their denial of a Pre-Tribulation Rapture, that this is not part of the wrath of God, doesn't make sense. The Antichrist will then ink a seven-year peace accord with Israel (Daniel 9:27) which will be the moment the seven-year countdown begins. The outer bands of this event, where a peace treaty is signed between Israel and the surrounding Islamic/Arab nations, have been visible for quite a while now, going back at the very least to the Oslo peace accords. With each failed attempt for a so-called peace, we are being drawn in ever closer to the maelstrom that awaits when this "covenant with death and hell, as Scripture refers to it - is finally confirmed by the Antichrist. Another significant event that will occur at the very onset of, or near the beginning of the Tribulation hour, will be the invasion of Israel by a conglomeration of Islamic countries who have joined forces with Russia, Turkey and Iran, as foretold by Ezekiel the prophet. He wrote of this invasion some 2600 years ago, so the projection and track of this storm has been a long time coming. The eye of this storm will make landfall in Israel, but Gog's outer bands of nations involved will be as far north as Russia and Turkey, as far West as Libya, as far south as Sudan/Ethiopia and then as far East as Iran - and then "many peoples with thee." Because of that last phrase, "many peoples with thee", I don't subscribe to the notion of a Psalm 83 "war" precluding Ezekiel's Gog/Magog invasion, where some believe the immediate nations surrounding Israel must first attack, since they weren't mentioned by name in Ezekiel's account. I believe they (Egypt, Syria, Lebanon, Hamas, Hezbollah, maybe Jordan and others) will be a part of the "many peoples with thee" wording, and a part of the swirling bands-but that is another topic. How imminent is the eye of this storm to making landfall in Israel? Already, we can see the outer bands of nations being drawn into this swirling quagmire that will descend upon the Jewish State. Russia is already on the doorstep, in the neighboring nation of Syria. Turkey and Iran are both cozying up to Russia, in concordances and military alliances and are also involved in the confusion and slaughter taking place in next door Syria. It can't be too much longer until an evil thought is conjured up and Gog is hooked into coming down onto the mountains of Israel for his appointed meeting with the God of Israel. Those storm clouds are plainly in view. Another significant milestone of the Tribulation Period will be the formation of a One World Church or Religion, that will be headquartered in Rome. In Revelation 17, she is described as the Harlot Church. The antichrist will use this false religious system for his purposes during the first three and a half years of the Tribulation, but then the 10 kings who have confederated their rule with the Beast, will turn on this religious entity and destroy it - but this will occur because of God's will to do so. There can only be one institution on the face of the Earth that fits all of the characteristics, that is ascribed to her, mentioned in Revelation 17. What other religious system has adorned their priests, bishops and cardinals in purple and scarlet than Roman Catholicism? What other religious entity has such a collection of gold, precious stones, pearls, and untold wealth hidden away in the secret chambers of the Vatican? Who else uses a golden chalice in their masses and a golden monstrance to keep a Eucharistic wafer in to be adored as God? Who beside the popes, have committed fornication with the kings of the earth? Papal Rome was responsible for installing and deposing monarchs throughout Europe and elsewhere during the Dark Ages. Christ said His Kingdom was not of this world, but the Vatican has different motives. Who has killed more true saints than has Rome, during her over 600 years of Inquisitions? There is no other entity that has ever existed that comes close to matching all of the features listed describing the Harlot Church than Roman Catholicism-there isn't even a close second. It is interesting that next year will mark the 100th anniversary of the so-called Marian apparitions that took place in Fatima, Portugal. Our Lady of Fatima, as she is called, was seen by three young Portuguese children on a few separate occasions and a shrine was later built on the site, with pilgrimages made to the site by many Roman Catholic faithful. These apparitions can only be demonic deception of the highest order, when one considers what these visions have been reported to have said to those in attendance, when it points to itself and not rightly to Jesus Christ for salvation. We are told from Scripture that the devil can appear as an "angel of light" and clearly this is just such a manifestation of that. Back in my Roman Catholic days, before the Lord saved me from out of that organization, my wife and I visited this shrine in Fatima. I had seen the movie Our Lady of Fatima a few times as a kid, so I was interested in visiting it; the shrine is obviously all about Roman Catholicism's version of Mary which has nothing to do with Jesus. Women were circling the shrine on their knees in devotion and adoration to the Lady; many had bloodied legs. Their acts of piety to this apparition site were astonishing. But, as a former Roman Catholic, I can see where these apparitions could become a useful tool for the enemy during the Tribulation period. A majority of Roman Catholics already view these occurrences as legit. However, they could also be used to entice Muslims into a closer allegiance to the Roman Catholic Church, and to fall in line with the One World religion. Fatima was the name of the youngest daughter of the Islamic prophet Muhammad, so the name has a special connection to the Islamic people. I don't think it was mere coincidence that Satan picked this locale to deceive people. When the Rapture of the true Church occurs, there are going to be a lot of confused, perplexed and frightened people across the globe, wondering what has happened in the world - especially if children and mentally handicapped people are all suddenly missing. I would suspect that a religious leader may be more sought after for answers to what has happened to loved ones more than a political one, although a pope fits the bill for both -being a head of state in the Vatican. I could see where another vision of an apparition, like the Lady of Fatima, could go a long way in reassuring the frightened masses, and at the same time point people to the Roman Catholic One World Religion and to the antichrist as a new world leader. It could be a part of the strong delusion that will occur to those who have rejected the true saving gospel of Jesus Christ. Just a thought, pure speculation, but it could be plausible. Anyway, do we see signs of an approaching one world religion on the horizon? We sure do. Roman Catholicism's ecumenical drive to bring all under her control is fully underway. Their "Come Home to Rome" campaign is all over the internet, in her desire to lure back former Roman Catholics (like myself) and to entice new protestants and others to join ranks with her false religious system. They have been reaching out also to adherents of Islam, Hindus, Buddhists and any and all to join forces with them - all under the pope's authority. Sadly, many are falling for it. The new pope is also reaching out to atheists, homosexuals, transgenders - anybody and everybody is welcome into a covenant with Rome. That storm is on the shores already. The forecast looks bleak. The storm clouds are approaching. The wind is picking up, with the seas roaring. It is only a matter of time until this event is thrust upon us. We can see the worsening condition of life and of the evil encroaching from all quarters. People are requested to move to higher ground. The promise of its impending impact has been foretold; there is no way to stop its arrival. The last seven years on earth before Jesus Christ returns to rule and reign from Jerusalem is going to begin one of these days. Signs are all around us that it is near. It is a time that you do not want you or your loved ones to endure. Jesus said it will be a time like no other. All flesh would perish unless He cut it short. One can see and sense evil imploding all around us, yet it is still being somewhat restrained. I believe we are being allowed to see some of what is to come before Christians are snatched off the earth and taken home to heaven while the last seven years of horror unfold. I'm sure seeing the evil intensifying before our eyes is a means to get the word out quickly about salvation and that time is running out. Just consider the horrors and atrocities that took place during the Holocaust years. My wife and I watch all the programs and movies that deal with that subject. We lived in Germany for three years and made two trips to Dachau when we had our parents visiting to show them the site where the mass murder of the Jews took place. As horrific as that time was for the Jewish people, there is no mention of it in Scripture. Other than, when I think of Ezekiel's vision of the dry bones, I think upon the images of those gruesome scenes from that era when the Nazis bulldozed those dead, emaciated bodies into dug out mass burial sites. That imagery reminds me of a valley of dry bones. But, while there are no direct Scriptures referring to that period, there are plenty of Scripture verses warning us of what lies ahead during the Tribulation hour. The Holocaust will pale immeasurably in comparison. There will be a worldwide hunt down of both Jews and new Christians. Anyone refusing the mark of the beast will be killed. With satanic forces directly involved in this operation, hiding places will be non-existent; they will know where you are. Other than possibly Petra where the remnant of Israel will hide out and be protected by the Lord, everywhere else will be a free hunting zone. Take necessary precautions now before this looming storm hits. This storm is tracking right towards us; there is nowhere on the globe where its impact will not be felt. It will be of such calamitous magnitude, that there isn't a category level to rate it. Whereas a typhoon or hurricane when it makes landfall may stick around for a few days to unleash her fury, the coming Tribulation storm will not abate until a full seven years has passed. The devastation will be insurmountable. All will endure its effects. Wars, famines, diseases, droughts, earthquakes, utter devastation and a mass hunt down of those refusing the mark of the beast will be wrought upon the whole world. The only way out of this soon coming event is to put your complete faith and trust in the finished work of Jesus Christ on the cross. He offers His saving grace completely free to those who accept His plan of salvation. Nothing you can do will merit salvation. Our good works to obtain salvation are as filthy rags. We cannot earn it on our own behalf. Humbly invite Him into your life to save you. Once you have done that, He will save you from the wrath that is to come, which is exactly what the full seven years of the Tribulation are all about - the wrath of God for those who have rejected Jesus Christ and His saving gospel. Prepare yourself for what lies ahead. For the students of Bible prophecy, we can see in our spirit's radar screen that the coming hour is close at hand. Red warning pennants of impending disaster are flying off their masts. Harbingers of its full approaching impact are all around us; the siren signals are blaring. Take the required action to avoid this onrushing water swell. Israeli warplanes struck Hamas sites in the northern and southern Gaza Strip on Wednesday afternoon, in the second such attack of the day after a rocket fired from the coastal enclave struck Sderot, according to Palestinian media. The Israel Defense Forces confirmed the airstrikes, saying it targeted "a number of terror installations belonging to the Hamas terror group." In its statement, the IDF called Hamas "the sovereign in the Gaza Strip, which bears responsibility for every terror incident emanating from it." According to Palestinian media, Israeli jets hit targets in both the al-Tufah neighborhood of Gaza City in the northern Strip and in the city of Khan Younis in southern Gaza. According to Channel 2 television, the targets included Hamas rocket stockpiles. Earlier in the day, Israeli tanks fired on Hamas targets in Beit Hanoun in the northeastern corner of the Strip, the army said. There were no immediate reports of Palestinian injuries. The rocket, which was fired from the Gaza Strip, struck a street in the Israeli city of Sderot - a few miles from Beit Hanoun - just before 10:30 a.m. on Wednesday, police said. IDF spokesman Lt. Col. Peter Lerner said in a statement, "Today's attack, the second since the beginning of August in the city of Sderot, is the direct result of Hamas' terror agenda in the Gaza Strip that encourages deliberate attacks against Israeli civilians. The IDF remains committed to the stability of the region and the defense of the residents of southern Israel in the face of terror." The strike caused damage and sent ten people to the hospital suffering from anxiety attacks. The Islamic State-affiliated Ahfad al-Sahaba-Aknaf Bayt al-Maqdis terrorist group took responsibility for the rocket launch in statements released in both Arabic and Hebrew. "Oh you cowardly Jews: You don't have safety in our land. [Former defense minister Moshe] Ya'alon, the failure at giving security. [Defense Minister Avigdor] Liberman to fail will be a certainty," the Salafist group said in its statement, in poorly translated Hebrew. The attack against Israel was apparently a response to the Strip's Hamas rulers arresting several members of the Salafist organization, according to the group's statement. Though the Salafist group claimed the attack, Israel has said it holds Hamas responsible for any attacks emanating from Gaza and routinely responds to such launches with strikes inside the Palestinian territory. "We can't go after every little group in Gaza with a couple of dozen members that goes out one night and fires a rocket," a senior officer in the IDF's Southern Command told reporters last month. Ahfad al-Sahaba-Aknaf Bayt al-Maqdis released a similar statement last month after a failed attempt to launch a rocket at southern Israel on the first day of school. The group also claimed responsibility for a rocket attack that hit Sderot in August, landing between two houses in the southern Israeli city. In Wednesday morning's rocket attack, ten people in Sderot "suffered anxiety attacks" and were treated by medical teams, but no one was physically hurt by the attack, according to the Magen David Adom medical service. The ten - including a 15-year-old girl and a 60-year-old man - were taken to Ashkelon's Barzilai Medical Center for further care, MDA paramedics said. The street where the rocket landed was damaged in the attack, as were several nearby cars and homes. Police sappers were called to the scene, and the area was closed off to pedestrians and traffic, police said. Last month, a mortar shell was launched from the Gaza Strip and landed in a field in southern Israel, causing neither injury nor damage, the army said. The projectile hit an empty field in the Eshkol region, next to the southern Strip, according to a statement from the Israel Defense Forces. Washington and the West have looked on as pro-Assad ground troops have begun amassing in the thousands around Aleppo. Tension between the US and Russia over recent events in Syria have escalated rapidly in recent days, casting a new shadow over regional, and to some extent, global security. A Fox News report on Tuesday cited American officials as saying that Russia deployed its advanced S-300VM surface-to- air missile system to Syria. The deployment appears to be a clear signal to Washington, aimed at dissuading it from taking military action against the Assad regime. Since entering the Syrian conflict, Russia's goal has been to preserve the existence of its ally, the Alawite Assad government, and assist it in fighting a myriad of Sunni rebels. The US-led coalition's goal has, until now, been aimed at targeting the jihadists of ISIS and the Nusra Front. For a while, these two coalitions were able to pursue their goals in the crowded Syrian arena and prevent conflict between them. Now, things may be changing, and as a result, tensions between the two global powers are on the rise. In recent days, the US walked away from cease-fire attempts with Russia, after watching with despair the carnage and misery inflicted on Aleppo by Syrian and Russian warplanes. Since the collapse of the cease-fire, the Russian-led coalition, which includes Hezbollah and Iranian elements, has made gains in Aleppo. Washington and the West have looked on as pro-Assad ground troops have begun amassing in the thousands around Syria's largest city, a portion of which is under rebel control. Western media reports have been filled with harrowing images of civilian casualties from Aleppo, and pressure has been growing on the Obama administration to take bolder action in light of the futility of diplomacy. It remains highly unclear whether those factors are sufficient to facilitate a dramatic change in direction from President Barack Obama, who has thus far evaded every opportunity the US has had to target the Assad regime. With just four months left in office, Obama remains reluctant to involve the US in another Middle Eastern war, on top of current anti-ISIS air operations. It appears as if President Vladimir Putin does not wish to wait and see what Obama's decision will be, sending an aggressive preemptive signal by deploying the S-300VM, which is designed to shoot down ballistic missiles, cruise missiles, aircraft and other aerial platforms. It joins Russia's S-400 surface-to-air system, which was deployed by Russia to the Hmeimim airbase, on Syria's northern coastline, in December 2015. This system enables Moscow to shoot down aircraft within 400 kilometers. These systems give Russia an anti-access ability, meaning that it can challenge aircraft and missile movements through Syrian airspace and use that formidable technology to defend not only Russian forces, but also, if needed, the Assad regime from US attack. Israel, for its part, will be monitoring events closely, and keeping a low profile. It has maintained good working relations with Russia, and has a firm anti-conflict mechanism in place, meaning that Israel has been able to pursue its red lines in Syria, aimed at stopping Iran and Hezbollah from trafficking weapons to Lebanon, or setting up terrorist bases in southern Syria. "There will certainly be a King of Israel from the House of David, but that person is the final conclusion of the process and period of time called Moshiach Ben David," he said. Rabbi Apisdorf identifies the modern period of Moshiach Ben Yosef with Rabbi Avraham Isaac Kook, the first Ashkenazi chief rabbi of Israel and possibly the single most renowned and respected Zionistic rabbi to ever live in the state. In 1904, when Rabbi Kook eulogized Theodore Herzl, the founder of modern Zionism, he referred to Herzl, a secular Jew, as the "beginnings of the Moshaich Ben Yosef", and referred to the State of Israel as embodying Moshiach Ben Yosef, noting the similarities between the modern state and the Biblical character of Joseph. "Joseph was the provider sent by God to save many from starvation, who sustained Jacob and his sons materially when they came to Egypt looking for grain, so in future generations, the descendants of Joseph would develop the material side of Jewish national existence," Rabbi Kook wrote in his eulogy. "Joseph was swallowed up by the nations, and was fluent in seventy languages. This last point symbolizes the connection between Israel and all the nations of the world we see today." "It seems clear to me that the period of Moshiach Ben David began on the day Rabbi Kook stepped onto the soil of the Holy Land," Rabbi Apisdorf said. Rabbi Apisdorf believes that Peres' death signaled the transition point when the period of Moshiach Ben Yosef ended and the period of Moshiach Ben David took prominence. The rabbi expressed this historical process in spiritual terms. "I sense that the period of Moshiach Ben Yosef ended with the burial of Shimon Peres, the last of the founding fathers of the state that embodied that process [of creating the state]," Rabbi Apisdorf said. "This is an unmistakable historic shift, and, remarkably, it was as if the whole world acknowledged this by running to Jerusalem to be present for that Messianic shift. "If this is true, then beginning this past Shabbat, and then as the New Year began, the transition period ended, and we are now solely in the period of Moshiach Ben David," explained Rabbi Apisdorf. The heads of several tech companies have recently pledged money to combat diseases. Facebook CEO, Mark Zuckerberg, has funded a project that will bring together a group of scientists, engineers, doctors, and other experts in an attempt to "cure, prevent, or manage all diseases in our children's lifetime." Zuckerberg said he will devote 99 percent of his fortune to this cause. Google co-founder, Sergey Brin, believes one day we will find a way to live forever. Ray Kurzweil, Google's chief futurist, said in April, "We will reach a point around 2029 when medical technologies will add one additional year every year to your life expectancy." These goals of curing all disease and achieving immortality are pipe dreams. We have learned a great deal about the functions of living organisms, but our knowledge has not allowed us to master the codes of life. In reality, we are slowly losing the battle against infectious diseases. An entire series of bacterial pathogens have developed resistance to nearly every antibiotic. The problem is so bad the United Nations has just declared antibiotic Resistance as a Crisis, putting it on par with Ebola and HIV. It is hoped that the classification will lead to the funding and research needed to combat, or even fully eradicate, the problem, which is currently responsible for more than 23,000 deaths per year in the U.S. alone. The World Health Organization has warned that gonorrhea "may soon become untreatable" because of growing resistance to the antibiotic ceftriaxone, a member of the cephalosporin class. Head lice do not cause death, but its resistance to treatment shows the problem. In 1945, the insecticide solution to treat lice known as Nix, was the most commonly used treatment and was nearly 100 percent effective against the organism. Today, only 2 percent of head lice can be treated with NIX. Even when virus kills large numbers of people, there is no alarm by world governments. The West African Ebola epidemic of 2013 to 2016 was the most widespread epidemic of the Ebola virus disease in history. Ebola has up to a 70 percent fatality rate. Doctors that wore heavy protective gear still managed to become infected with the virus. We still don't have any cure or specific treatment for Ebola. At one point in 2014, the number of cases was doubling every couple weeks. We were within a month of seeing the infections rate reach the hundreds of thousands, but then the disease just suddenly stopped in its track. It was like the virus was meant to be some type of warning. Another indication of how unprepared we are with disease is the problem with the Zika virus. For most people, the infection is similar to a very mild form of dengue fever. The horror of Zika occurs when a pregnant woman becomes infected, the virus spreads to her fetus. This can result in microcephaly (severe brain malformations), and other birth defects. Unlike Ebola, which erupted in Africa, Zika has reached the shores of America. Florida has asked Congress for money to help with the eradication of mosquitoes that carry the virus, and lawmakers have failed to move for several months. I have to wonder if these bugs have invaded people's brains, reprogramming them to be apathetic. Leprosy is a disease that was once wiped out in the Western world. Because we allow infected people to freely enter our country, leprosy has re-emerged as a risk factor. When children from immigrant families turn up at school with leprosy, the media conceals the source of the infection. If the tech giants were able to cure infectious diseases they would also greatly discredit Bible prophecy. Since plagues and pestilences are a key element of the Tribulation hour, their removal would be a huge obstacle to several prophetic passages. The lack of concern about infectious diseases is a direct result of the moral state of the world. We have the same level of apathy about terrorism, nuclear war, and natural disasters. Because God has already determined to use plagues and pestilences to show His wrath upon a wicked world, the ultimate threat from these dangers is 100 percent. The next time we have an epidemic, it may not stop until we have toll that fits the carnage described by prophecy. "These have power to shut heaven, that it rain not in the days of their prophecy: and have power over waters to turn them to blood, and to smite the earth with all plagues, as often as they will" (Revelation 11:6). "I saw another sign in heaven, great and marvelous, seven angels having the seven last plagues; for in them is filled up the wrath of God" (Revelation 15:1). The fall is arguably the most important time of the year in Judaism. Three of Israel's holiest days are celebrated then, and all in the space of 3 weeks. They are Yom Teruah, also called the Feast of Trumpets, followed 10 days later by Yom Kippur, the Day of Atonement, and 5 days after that by Sukkot, the weeklong Feast of Tabernacles. They all have both historical and prophetic fulfillment and, following the pattern of the spring feasts, the prophetic fulfillment will occur during the time of each feast. Therefore, Christians study them for glimpses into the future as well as to gain a better understanding of Jewish history and culture. In 2016 they occur on October 2-3 (Feast of Trumpets), October. 11-12 (Yom Kippur) and October 16-23 (Feast of Tabernacles). But the people have always retained their original calendar as well, observing a religious year which begins in the spring, and a civil year beginning in the fall. This is why the Feast of Trumpets is also known as Rosh Hashanah (which means "head of the year") sometimes called the Jewish New Year. This year Rosh Hashanah marks the beginning of the year 5776. The Feast of Trumpets is a time of new beginnings. According to some Jewish traditions, the creation was completed on that day, and therefore Adam was born then as well. Also, based on the view that John the Baptist was born in the spring, around Passover, and his birth preceded the birth of Jesus by 6 months (Luke 1:36), it's possible to place the birth of the Messiah on the Feast of Trumpets. These events combine to give the day it's historical fulfillment. Unlike other Jewish feasts, the Feast of Trumpets takes place on a New Moon, when just a sliver of the Moon appears in the night sky. Since this has to be confirmed by eye witness sightings the weather has to be very clear to observe the rising of the New Moon, and it's not always that way. For this reason the Feast of Trumpets has come to be known as the feast where no one knows the day or the hour. According to Matt. 24:29, the Sun, Moon and stars will all go dark at the end of the Great Tribulation to signify that the most terrifying judgments ever to be visited on Planet Earth have ended. Sometime afterward the Lord will return on the clouds of the sky with power and great glory. Four times within the span of 28 verses the Lord said the people on Earth at the time will not know the exact time of His return in advance, using a form of the phrase "you will not know the day or the hour" (Matt. 24:46, Matt. 24:42-44, Matt. 24:50, Matt. 25:13). This leads some scholars to speculate His return will coincide with the Feast of Trumpets. If so the 2nd Coming will be the prophetic fulfillment for the Feast of Trumpets. Others think that the Rapture of the Church will happen on the Feast of Trumpets, but I'm convinced that the rapture is a number specific event rather than a date specific one, meaning the Church will be raptured when "the full number of gentiles has come in" (Romans 11:25). If so, the rapture of the Church could happen on any given day, although Acts 15:13-18 makes it clear that the rapture will have to precede the beginning of Daniel's 70th Week. Religious Jews believe that in Heaven, books recording the deeds of mankind are opened on the Feast of Trumpets for an annual review of man's behavior. At that time, God writes down who will live and who will die, who will have a good life and who will have a bad life in the coming year. These books are written in on Rosh Hashanah, but certain actions can alter His decree. The actions that change the decree are repentance, prayer, and good deeds (usually, charity) and must be completed in the 10 days before Yom Kippur. For that reason, these 10 days are called the Days of Awe where each man's destiny hangs in the balance as he goes about repenting and asking forgiveness from friends and neighbors for the sins he's committed in the year just past, and performing acts of charity. A common greeting among Jews during the 10 Days of Awe is, "May you be inscribed and sealed for a good year." On the first afternoon of the Feast of Trumpets (it's a two day celebration) Orthodox Jews go to a running brook or stream where fish swim and throw pebbles or crumbs they've gathered into the water, symbolizing God's casting away of their sins. While doing so, they recite Micah 7:18-20. "Who is a God like you, who pardons sin and forgives the transgression of the remnant of his inheritance? You do not stay angry forever but delight to show mercy. You will again have compassion on us; you will tread our sins underfoot and hurl all our iniquities into the depths of the sea. You will be true to Jacob, and show mercy to Abraham, as you pledged on oath to our fathers in days long ago." This is one of the most eloquent descriptions of God's grace to be found anywhere in Scripture. It reminds God of His promise to be merciful to them in the coming judgment of Yom Kippur. The fish's dependence on water symbolizes their dependence on God. The fact that fish can't close their eyes reminds them to be thorough because God sees everything. This ceremony is called Tashlich, Hebrew for "You will cast", a reference to hurling their iniquities into the sea in Micah 7:19. Ten days later, on Yom Kippur, judgment is rendered, the books are closed and everyone's fate is sealed for another year. Yom Kippur was the only day of the year when it was permissible to speak the Name of God. Yes God does have a name, but it's not Jehovah or Yahweh. These names were created out of the four letters that Hebrew scribes used to represent God's name in the Old Testament. Wherever the word LORD appears all in caps, you'll find the Hebrew letters JHVH, (or YHWH) in the Hebrew text. Theologians call these four letters the tetragrammaton, which is Greek for "four letters". So, in effect these four letters are God's initials, standing for His real name. Early English language translators added an E, an O, and an A, (vowels they took from Elohim, a form of the Hebrew word meaning God and Adonai, Hebrew for Lord) to JHVH and created the name Jehovah. We used to think that was God's name, but it's really a man made construction. And in Hebrew the four letters are pronounced yod, hay, wah, hay, which probably gave rise to the "Yahweh" we use today. It's not His real name either. It was forbidden for Jews to speak God's actual name except for once a year on Yom Kippur when it was spoken 10 times. After the Temple was destroyed, the Yom Kippur ceremony changed and the name of God ceased to be used and was eventually lost. No one alive today knows God's real name, and it probably hasn't been spoken on Earth for about 1700 years. But that's not necessarily a bad thing. Philippians 2:9-11 says that Jesus, or if you prefer the Hebrew, Yeshua, is now the name above all names. Back to Yom Kippur. During a great and awe inspiring ceremony at the Temple, two goats were brought before the High Priest. One was a goat "for the Lord" to be presented as a peace offering as commanded in Lev. 16:7-10. The other was called "the scapegoat" because all the sins of the nation were symbolically placed upon its head, and then it was led outside the city to be killed. The goats had done nothing to deserve this but were chosen to demonstrate the fact that only the shedding of innocent blood could atone for the sins of the people. The death of the two goats symbolically set aside the sins of the nation, made their peace offering acceptable, and gave them peace with their Creator. The people spoke the Name of God in heartfelt thanks. In the prophetic sense, Tribulation survivors from the nations will receive their fulfillment of the Yom Kippur judgment in the days immediately following the Lord's return. This is described to us in the Sheep and Goat judgment (Matt 25:31-46) where Gentiles who've cast their sins at the foot of the cross during the Great Tribulation will be granted life in the Kingdom, and those who haven't will be sent away for death. The willingness of those described as sheep to risk their lives by ministering to believing Jews during the Great Tribulation will be evidence of their faith. (Old Testament mention of this event can be found in Joel 3:1-3.) In Matt. 19:28 the Lord told His disciples that the judgment of Jews who survive the Great Tribulation will take place then, too. For those of all ages who reject the Lord's vicarious atonement, the prophetic fulfillment of Yom Kippur will come at the end of the Millennium in the so-called Great White Throne judgment. For the last time, the books will be opened and the unsaved dead will stand before God to be judged according to their works. Everyone whose name is not written in the book of life will be thrown into the lake of Fire (Rev. 20:11-15). Sukkot, or the Feast of Tabernacles, begins five days after Yom Kippur. It's a harvest celebration that was the inspiration for the American Thanksgiving Day. It began as a seven-day feast (later expanded to eight) when all the tithes the Israelites had set aside during the year were brought to Jerusalem for a joyous time of national celebration and thanksgiving for the Lord's bountiful provision. The aroma of delicious foods cooking over open fires permeated the whole city. For seven days where ever you went there was an air of joy and festivity as the people remembered their Provider and gave thanks. (Deut. 14:22-26). Historically the Feast of Tabernacles commemorates the time of God's dwelling with the Israelites in the wilderness after the exodus from Egypt. Its prophetic fulfillment comes in the Millennium when the Lord will once again dwell among His people; with the Church in the New Jerusalem (Rev 21) and with Israel in the Promised Land (Ezekiel 43:7). From that time forward the Holy City on Earth will be called Jehovah Shammah, which means "The Lord Is There" (Isaiah 62:2 & Ezekiel 48:35). Somewhere along the way a water libation ceremony was added to the Feast of Tabernacles. Each morning a procession of priests would descend the steps from the Temple to the Pool of Siloam and dip a silver pitcher into the water. Carrying the water back to the altar, they would pour it into the ground that had been exposed by the removal of a paving block near the altar, while offering prayers for rain. 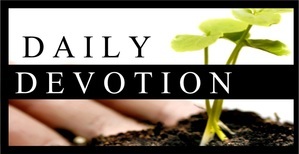 The purpose of this daily ceremony was to remind God to bring the fall rains needed to prepare the ground for planting. In Israel it doesn't rain during the summer and the ground gets very hard. Gentle rains are needed to soften the ground so it can be prepared for the fall planting. On the last day of the feast the High Priest himself would officiate and on this day instead of a silver pitcher one of pure gold would be used. The High Priest would be dressed in all his finest and attended by a huge contingent of similarly attired priests, blowing trumpets, singing psalms, and waving palm branches. When it was first described to me, I was struck by its beauty and pageantry. I've since read that extra balconies were set up around the Court of the Priests so more people could observe it. As Jesus came to live in the world at His birth (Feast of Trumpets), so He comes to live in our hearts at our new birth. As He required the shedding of innocent blood to reconcile Himself with Israel (Yom Kippur) so He shed His own Blood to reconcile Himself with us. As He dwelt with the Israelites in the wilderness of Midian (Tabernacles), so He dwells with us in the wilderness of Earth. "And surely I am with you always, to the very end of the age," He promised. (Matt 28:20) Even so, Come Lord Jesus. (Rev. 22:20) You can almost hear the Footsteps of the Messiah. The whole idea behind voter identification at the polls is so that one person, one vote can be administrated. Without an identification-proof of who you are and where you live-elections can be stolen. There are reports in Virginia (Democratic VP Tim Kaine's home state) of over 1,000 illegal registrations and similar reports in Philadelphia and Ohio. According to Election Data Services, there are approximately 186,000 precincts in the US. In a close election, depending on the state's electoral college, a swing of 10 votes a precinct could dictate the outcome of a presidential election. But swaying an election illegally is based on tried and true practices more than relying on illegal immigrant registration. In most states, all you have to do to vote is come in and say your name and verify your address. The clerk checks off your name on the voter registration rolls for that precinct. Once the name is checked off, no one can vote using your name and address. This is easily overcome. Both parties have poll watchers at the polls. Both parties continuously check on who has voted, especially those who are registered for their respective party. Near the end of the day, they have lists of who hasn't voted and an organized precinct chairman will make sure a call goes out to those on the list and remind them that they haven't voted and that their vote is needed. Sometimes rides are coordinated to deliver these folks to the polls. There have been local, state, and even national legislative initiatives to clean up the voter rolls-that is, remove those who have died from the voter registration rolls. The Democrats have long opposed these efforts using the argument that it disenfranchises voters who may not be dead or people of color that elections boards may remove on purpose. As the polls are about to close, party precinct chairmen who know who has died, but remains on the voter registration rolls, round up people to stand in and vote for the dead people. This is why voter identification is so important. This practice is infamous in Chicago where the Democrats steal elections year after year. It occurs in other places, too. Add into the mix the illegals who are registered to vote when obtaining a drivers license. These people can be bussed to the polls and paid to pull the lever for the right person. Because they can't read, they are allowed someone to assist them (who usually can verify that they voted for the right person). Also be mindful of electronic voting as these machines can be programed to sway an election. When they are caught, the error is blamed on the need for "recalibration." I'll say. This is why it is so important for Christians to register and vote. That is how we overcome what is stacked against us because as 2 Timothy 3:13 says, "Evil men and seducers shall wax worse and worse, deceiving and being deceived." Sometimes wives choke on the verse that says, "Wives, submit to your own husbands, as to the Lord." They might say, "I don't want to submit to my husband or anybody else." But before God tells wives to submit to their husbands, God tells both husbands and wives to submit to one another in the reverence of God. If you are a Spirit-filled person, you will be a submitting person. Maybe when you think of submission, you equate it with some form of slavery. That is not what submission is in the Bible. Let me put it another way: If you are really filled with the Spirit, you will think of others over yourself. A Spirit-filled husband will put the needs of his wife above his own. A Spirit-filled wife will put the needs of her husband above her own. Both of them are putting the other in the first position. In military language, it means, "to rank beneath." It is not about superiority or inferiority. It is about order. It is about sacrifice. It is about obedience. It is not about you; it is about your mate. You want to hold them up. You want to support them. A successful marriage is not so much about finding the right person as it is about being the right person. It drives me crazy when I hear wives quote verses to their husbands about what he should be doing, or when the husband quotes verses to the wife about her role. Read your own verses and put them into practice. Stop blaming your wife and instead be the best husband you can be. Stop blaming your husband and instead be the best wife you can be. Stop reading each other's mail and just do what God tells you to do. You will be amazed at what will happen.